1. How many pages is too many pages? Offer your visitors exactly how many pages or sections they will need to maximize their experience on your website. Remember, a website with 50 pages isn’t necessarily a BETTER website than the one with five pages. 2. Who do I want to visit my website? Dive into the psyche of your niche, and make a list of exactly what your niche will want when they visit your website. Don’t try to be all things to all people – that’s a big lead deterrent! 3. Why would somebody bookmark my website? 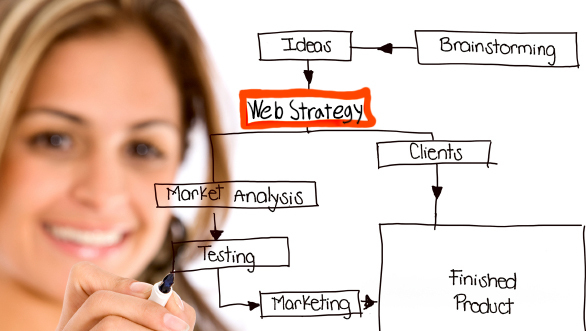 Ideally, you want your website visitors to come back, and share your website with others. What will your niche market need to find on your Real Estate website in order to entice re-visit? A mortgage calculator? A buyer’s guide? Be creative – think big! 4. How is my niche going to find my website? Having a website that is built using the proper techniques and technology is half of the equation. If you really want solid traffic, it all comes down to unique/relevant content. Just because you build it, does not always mean they will come. Should you focus on Search Engine Optimization (SEO)? Will you be advertising your website on/offline? Is social media an option? how else can you spread the word instead of waiting for people to find you? 5. How are you planning on generating leads? Converting a visitor of your site, to a lead or future prospect is likely your #1 goal. How are you enticing your visitors to share their email address with you? Do you offer monthly market reports, directly to their inbox? Do you regularly update your blog? Do you give out random prizes to your mailing list every month? An email address can be a sacred thing, and in order to get a visitor who is opting-in to share their e-mail address with you, you need to give a little! This should give you a great starting point to creating your Awesome Real Estate Website – There are few to no limits, so aim for the stars and put your website to work for you!